A few Fridays ago I ended my workday early so I could take my daughter out for a few hours on the Hood River Fruit Loop. It was the last official day of summer before fall equinox and a bright, picture-perfect day with fluffy clouds and temperatures in the mid 70s. 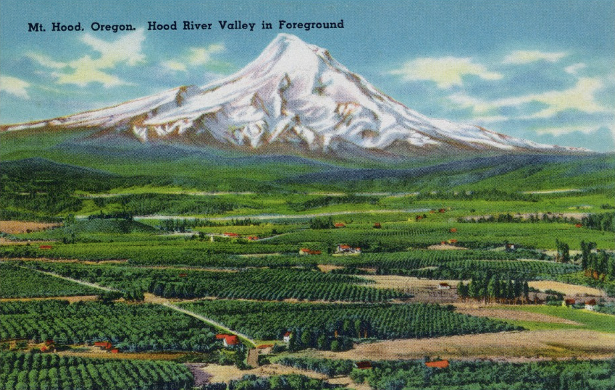 The Hood River County Fruit Loop, located in northern Oregon along the Columbia River, is enormously popular, especially during fall fruit season. There are apples, pears, pumpkins, wine grapes, Italian plums, and a few other crops being harvested at this time. Tour busses and large groups descend upon this agricultural region en masse, especially on the weekends. So we snuck out on a Friday afternoon to get a taste without the huge crowds and limited parking. The Fruit Loop has 28 different members who have farm stands or tasting rooms open at different times of the year, some of them year-round. They band together to do group marketing and produce a colorful map that can be found all around the region. It is a model of cooperative agritourism, one that could easily be adopted in other agriculturally rich and beautiful regions of the country. Kettle & Fire are makers of 100% grass-fed beef and high quality chicken bone broth that's delivered right to your door. Bone broth is nutritious and delicious, and you can heat and drink in less than 5 minutes. Each carton is made with organic ingredients and loaded with collagen. They've even gone on to create bone-broth based soups, like grass-fed beef chili, that make a delicious, satisfying full meal. This month Kettle & Fire are offering LocalHarvest readers $5 off any order when you use the discount code LOCAL5.. You can use the code to purchase any bone broth or soup products, so stock up now! The offer is good through October 11th.